Although one month has passed since Sri Lankan President Maithripala Sirisena announced the release of land in Jaffna back to civilian ownership, the Sri Lankan military continues to deny Tamil villagers access to their land – Tamil Guardian. The government meanwhile relaunched its controversial Sinhala settlement scheme in the Tamil-dominated North-East. Houses were constructed on land gifted to Sinhala villagers by the Sri Lankan government and with loans provided at concessionary interest rates. The settlement is located at the strategically significant narrow strip of land which links the two Tamil-majority Northern and Eastern Provinces – News Radio. A Sri Lankan minister pledged to build homes for Sinhala families living in Mullathivu, while Tamils complained that the Sinhala families were receiving unfair assistance form the government – Tamil Guardian. Locals protested against continued surveying of public land by the military for the construction of army and navy camps. Officials from the TNA and the TNPF, including TNA MP Sritharan took part in the demonstration – Tamil Guardian. 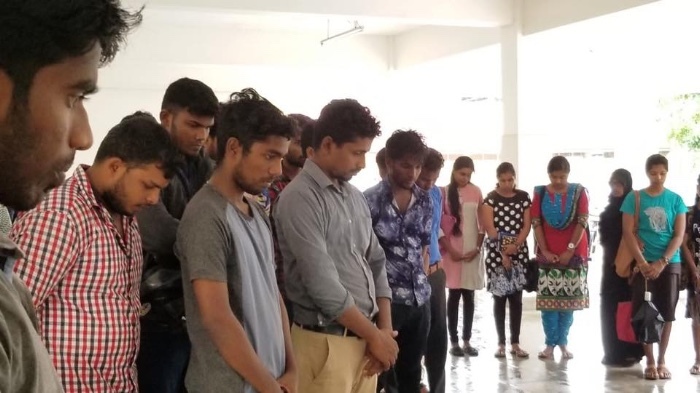 Protestors also staged a sit in at the Jaffna Government Agent District Secretariat office, demanding the Sri Lankan military halt ongoing land surveys – Tamil Guardian. Another protest was held against the construction of a controversial power plant in Sampur and the contamination of ground water in Chunnakam – Tamil Guardian. The British High Commissioner in Sri Lanka spoke on the importance of returning land to its rightful owners – British High Commission Colombo. The US State Department’s Special Coordinator for Global Criminal Justice, Todd Buchwald, and the Deputy Assistant Secretary of State for South and Central Asia, Manpreet Anand, concluded their visit to Sri Lanka. They met with Chief Minister CV Wigneswaran and the opposition leader R Sampanthan and TNA spokesperson MA Sumanthiran – US Embassy Colombo. The Sri Lankan navy is pressuring Tamil-speaking people in Nainatheevu to “welcome” the moves to build the statue – TamilNet. After being received with a standing ovation at a meeting of the Labour party with Tamil community in the Houses of Parliament, Mr Jeremy Corbyn in his concluding remarks said, “We as a party are very committed to the issues of human rights and justice. We are very committed to the rights of peoples, Tamil people, in this case, to achieve their justice, their self-expression and their self-determination.” – Tamil Guardian. Sri Lanka’s foreign minister Mangala Samaraweera aid Sri Lanka was committed to implementing the UN Human Rights Council co-sponsored by the government – Sri Lanka High Commission Canberra. A joint statement has been released in Beijing following Sri Lanka Prime Minister Ranil Wickremesinghe’s visit to China. The statement noted China’s support for reconciliation in Sri Lanka, and Sri Lanka’s support to the ‘One China’ policy – Economy Next. Sri Lanka will participate in China’s ‘one road, one belt’ scheme and become a trade hub in the Indian Ocean with China investing and managing ports, airports and an industrial zone in the South of the island – Economy Next. Sri Lanka also agreed to resume work on the $1.4 billion Colombo Port City project that had stalled a year ago – Voice of America. “Macroeconomic performance in 2015 reflected a mix of positive underlying growth momentum, the impact of domestic policies, and an increasingly difficult external environment. The fiscal deficit expanded, public debt increased, and the balance of payments position deteriorated despite an improvement in the terms of trade. Real GDP growth in 2016 is expected to remain around 5 percent and inflation in the low single digits. Over the medium term, there is potential for growth to rise closer to Sri Lanka’s estimated potential output level, but prospects will hinge on a policy upgrade in the near term and removing bottlenecks to trade and investment.” – IMF. A senior BJP leader and Union Minister said Delhi was firm in its proposal to build a bridge across the Palk Strait, connecting Dhanushkodi in Tamil Nadu and Talaimannar in the North-East of Sri Lanka. Sri Lanka’s government had repeatedly rejected the bridge after similar statements by Indian officials – The Hindu. Former UN Human Rights Chief Navi Pillay has slammed the UN for failing to protect tens of thousands Tamil civilians during the final stage of the war that ended in May 2009, despite being informed about an all-out military offensive well in advance – Ceylonews. “Slowly and surely it is now becoming apparent that Sri Lanka’s democratic collapse is of a more ingrained nature than purely attributable to the Rajapaksa decade. Though this may be convenient for many to peddle as their favorite topic of conversation, the reality is far more unpalatable. By the time that Mahinda Rajapaksa came to sit on the chair of the Executive Presidency, Sri Lanka’s democratic systems and constitutional structures had already been seriously undermined. The judicial system had been irreversibly politicized. It was a precarious house of cards, waiting for a slight jolt to bring the entire structure crashing down.” – The Sunday Times. “Under the present unitary resolution, we cannot find an answer to our issues. We need to bring all communities under one country, but these bankrupt politicians say if a federal solution is sought, it will divide the country. I think the country will be more united under a federal system” – The Sunday Leader. “We are increasingly concerned that the UK government puts flying the flag for business over and above human rights. Nowhere is this mercenary approach more likely to directly cause loss of life or limb than in Sri Lanka” – Freedom from Torture. 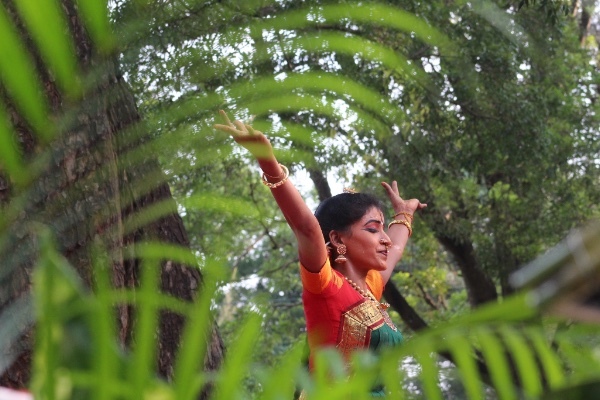 The CPA commissioned a documentary on Sampur, to visually capture the narratives of the communities who have returned and continuing to return to their homes – CPA. “Values-based diplomacy can deliver impact, as the Foreign Office’s work to prevent sexual violence in conflict demonstrates. But this is a young initiative and it needs political support and resources to grow. In the face of growing perceptions that his government has downgraded human rights, the Prime Minister should step in to reinforce this trailblazing project by tackling hypocrisy in the way survivors of sexual violence are treated in the UK asylum system and ensuring that his special representative Baroness Anelay is not left alone to fly the flag for human rights on the world stage” – Sonya Sceats in The Huffington Post.